Fluffy arrived at an animal clinic in Kalispell, Mont., looking like a block of ice. 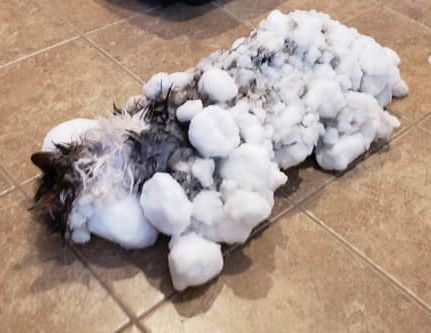 On a day when temperatures dropped below zero, the outdoor cat’s owners had found her lying unresponsive in a snow bank, her long hair frozen solid. They rushed Fluffy to the clinic, where vets discovered that her body temperature was below their thermometer’s bottom end: 90 degrees. They began to warm the chilly kitty up with heating pads, hair dryers, and intravenous fluids. “Within an hour she started grumbling at us,” said Andrea Dutter, the clinic’s executive director. Fluffy has since fully recovered—and is now strictly an indoor cat.